Whiteboard presentations are animated presentations in the form of cartoons or storyboards. They can be used for a wide variety of applications, including marketing, educational purposes, and even quick tutorials. Generally, whiteboard animations are time-lapse or stop-motion style animations, however there are many different types of whiteboard animations you can employ for different purposes. The original whiteboard presentation was, quite literally, an individual such as a college professor giving a lecture or a business person making a presentation using a physical whiteboard. The purpose of the whiteboard is to present information visually, making it easier for people to understand concepts than if they were simply spoken. For example, a mathematical equation might be significantly easier to explain to students by drawing it out than it would be to explain solely with words. You can make use of this visual media by creating your own whiteboard presentations. These presentations can make it much easier to explain certain concepts to your viewers than traditional videos. In this article, you’re going to learn some tips for making quality whiteboard presentations, and we’ll take a look at some of the software you can use make these presentations even if you have no experience doing so. There are many different things you can use whiteboard animations for. Here are a few different ways you can use them to benefit your business. 1. Advertisements – Whiteboard presentations can actually make great commercials. They can be used for television commercials,online commercials, etc. Even UPS has done whiteboard commercials. 2. Marketing – You can also use whiteboard videos for marketing purposes, such as on sales pages, uploading to YouTube, etc. 3. Education – Whiteboard animations have been used for years for educational purposes. 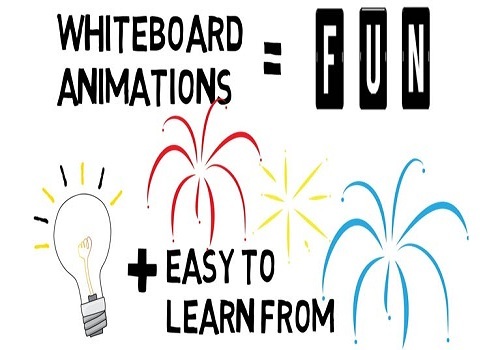 If you think about it, this makes sense, because whiteboard animations are based on the whiteboards used in classrooms by teachers and professors to explain lessons. Using whiteboard animations allows you to create the same type of presentation one might see in a classroom, but without necessarily having to stand in front of the camera yourself. has become wildly popular and viral.